Wedding Invitation. This wedding invitation was matted with a nouveau pillar style mat cut with our Wizard computerized mat cutter. The top mat is a soft cream and the second mat is a brushed silver which compliments the silver in the frame and gives the invitation a bit of color without overwhelming it. 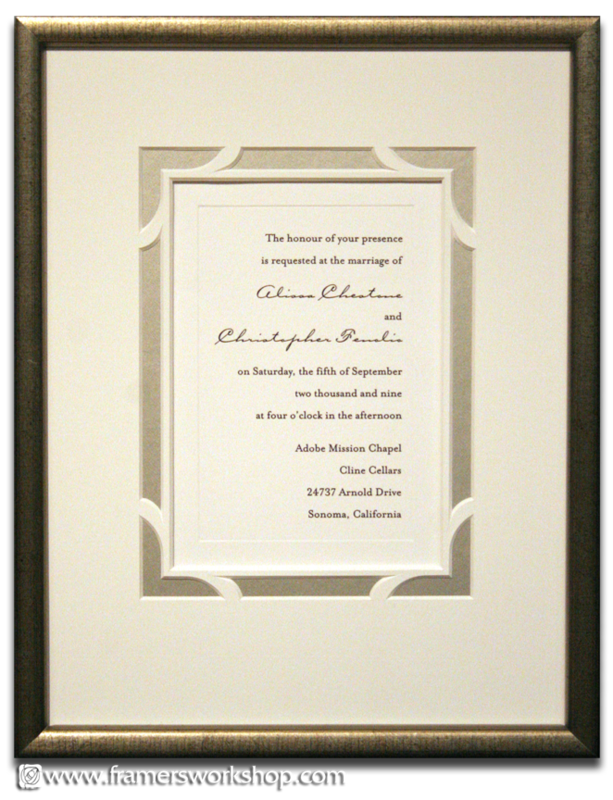 See our Celebrations page for more framed wedding invitation examples.